The property was located in a quieter area of Naoussa but close to a bakery and small supermarket. The host was very helpful, friendly and approachable. The property is kept spotless. The pool was lovely and very clean. Clean rooms and a short walk into the town. The bakery by the Villa was very nice and sold everything you would need including drinks to enjoy around the pool. Friendly staff, spotlessly clean. Cleaned everyday by a very lovely lady who worked very hard but always had a smile on her face. Swimming pool and setting was beautiful. Very comfortable bed. Reception and cleaning staff were very kind. Very good location. 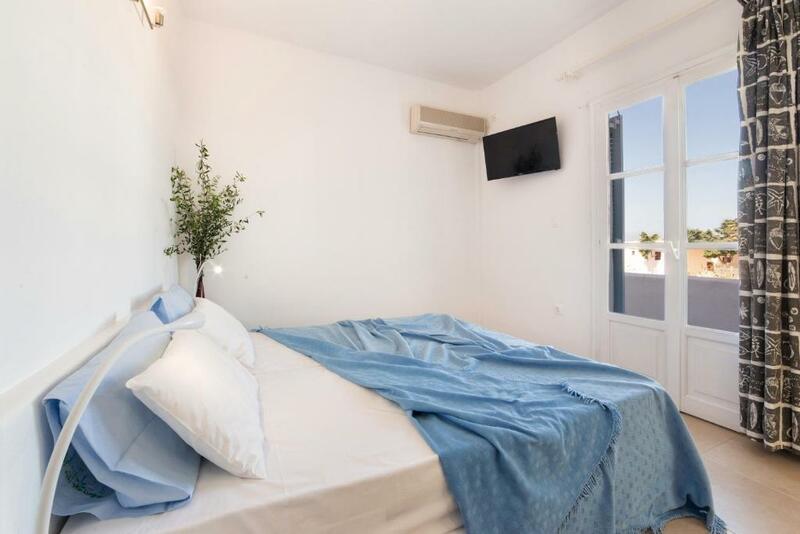 Excellent location, around ten minutes walking distance to the centre of Naoussa with restaurants, bars and shops. Nice, spacious and clean room. Very nice and helpful staff! La ubicación del hotel, la habitación estaba muy bien decorada y era espaciosa y la piscina. Appartement parfait dans une petite résidence au calme et à la fois à 5 min à pied du centre de Naoussa. Trés propre et déco récente. Emplacement parfait pour aller dîner ou boire un verre les soirs au coeur de Naoussa. Boulangerie et petit restaurant juste à l'angle de la rue pour prendre le petit- déjeuner. 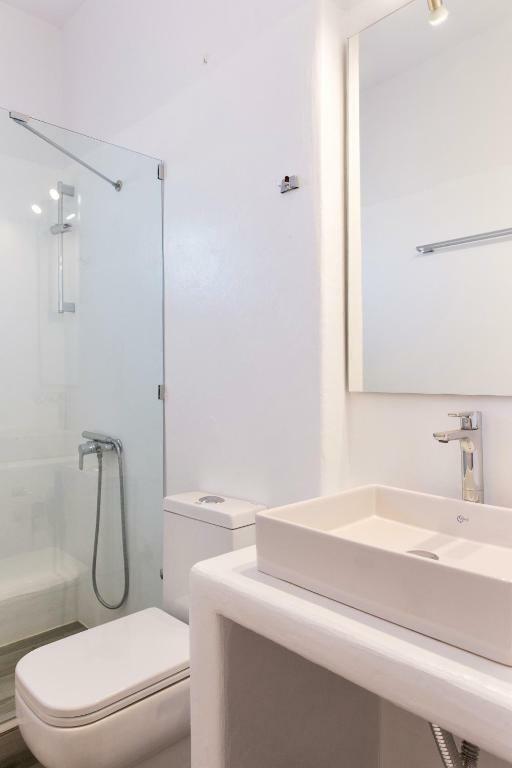 2 chambres séparées, coin cuisine avec frigo et évier, salle de bain. Et une magnifique piscine au coeur de la résidence avec transat et parasol. Accueil trés agréable. One of our best sellers in Naousa! Villa Irena is only 1,950 feet from Agii Anargiri Beach and the center of Naousa. 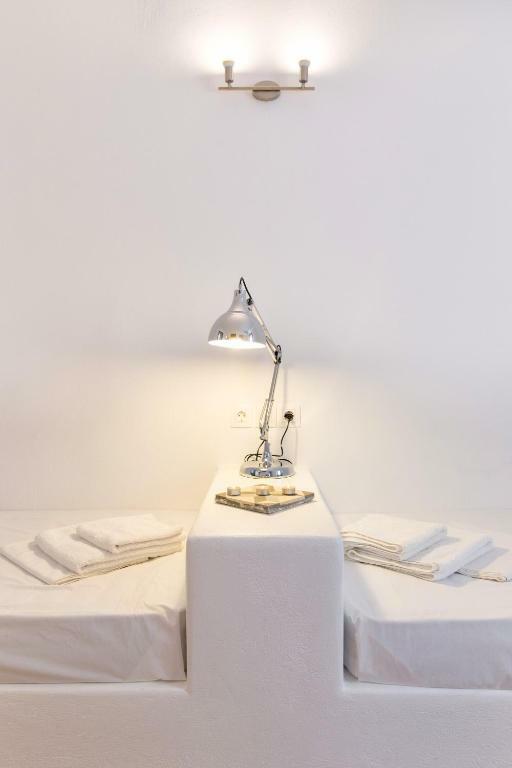 The Cycladic-style hotel has a swimming pool with sun terrace and offers air-conditioned accommodations. 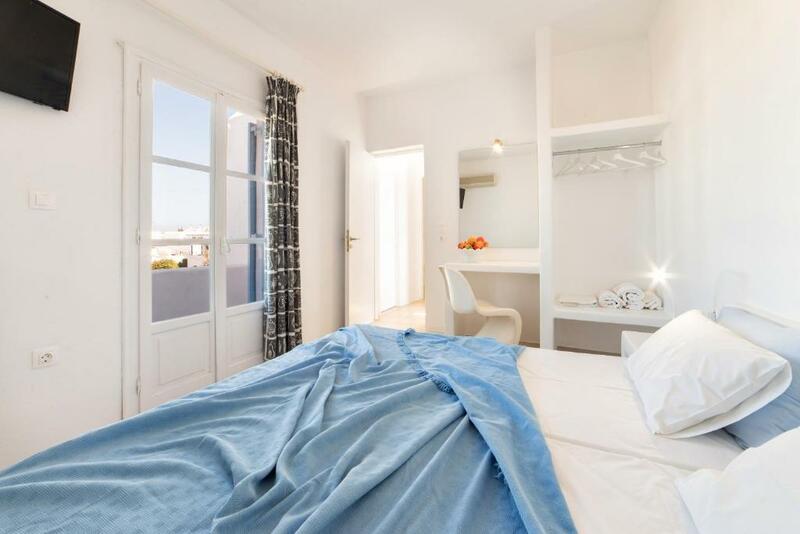 Rooms and apartments at the Villa Irena are bright and have simple furnishings. They include free Wi-Fi, fridge and TV. Some units have a kitchen and a balcony. Drinks and cocktails are available by the poolside. Taverns serving fresh seafood are located in the center of Naousa, less than a 10-minute walk away. Guests can swim in the outdoor swimming pool. Nearby leisure activities include horse riding. The reception offers car and bike rental on request. Free parking is provided on site. 뀐 Located in the top-rated area in Naousa, this property has an excellent location score of 8.2! 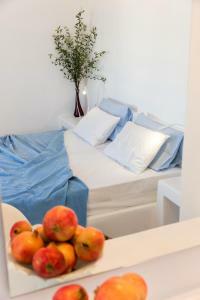 When would you like to stay at Villa Irena? Decorated with respect to the Cycladic style, this room is air conditioned and includes a TV and mini fridge. Featuring 2 separate bedrooms, this apartment includes air conditioning, TV and mini fridge. This apartment has a tile/marble floor and air conditioning. This apartment features air conditioning and tile/marble floor. House Rules Villa Irena takes special requests – add in the next step! Villa Irena accepts these cards and reserves the right to temporarily hold an amount prior to arrival. Please inform Villa Irena of your expected arrival time in advance. You can use the Special Requests box when booking, or contact the property directly using the contact details in your confirmation. Bathroom was the biggest disappointment. all appliances are rusty and there are some random cables just hanging from the wall. Fridge is very noisy and old. Only one draw , light bulbs missing, two single beds instead of a double. A strange and univiting atmosphere around the pool. Needs to liven up a bit. The host wouldn’t recommend anything in the local town and was very forceful in her bus recommendation. One small thing, could do with a chest of draws as the shelf was to high up for us. Poor wifi. No hot water in the shower. Higher ranked staff treated us badly and were insisting we had not paid after we had presented them with multiple bank confirmations, they kept asking us to call our bank and claiming we had made a mistake even though we evidently had not made one. For that price you can stay at a different hotel and avoid being harassed and actually enjoy your holiday. It would be convenient if breakfast was available on site. A bakery, coffee place and shop are anyway a few minutes away, so easy to go and get breakfast. A sign with indication of the Villa's direction would be helpful upon arrival. A kettle, toaster, cutlery and cups would have made our stay a bit easier as a family as we do use the self catering facilities. No breakfast as booked. Booking.com you never answer emails. Very dissatisfied with your service!! No customer service at all. Noisy party kids in the villas. Good location and very clean. Nice pool.